For Those that Demand the Very Best! In 2010 no less than eight Rage Buggies were entered in the Dakar Rally, these cars have now clocked up more than 50,000 miles while competing in the epic race for five seasons. 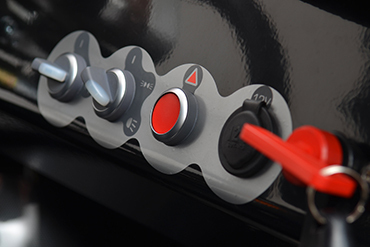 All Rage products incorporate the knowledge gained from our Dakar-developed vehicles, and this ensures that extreme performance, toughness and reliability come standard with every Rage Buggy. It is the feedback and knowledge gained by these endeavors, over the toughest terrain and in fiercely competitive conditions that give us the confidence to say that Rage products are developed way beyond those of any competitors. "It's like a little F1 car"
"Some of the best off-road toys... the handling is amazing!" 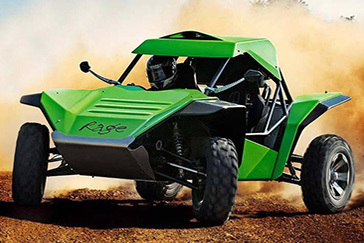 "The most fun you can have on 4 wheels"
The Rage R40T is the latest buggy in the Rage lineup. Equally suitable as a private leisure vehicle or for the Corporate Hospitality market, this 2 seater is incredibly fun and versatile. Click the "R40TA" button to learn more. 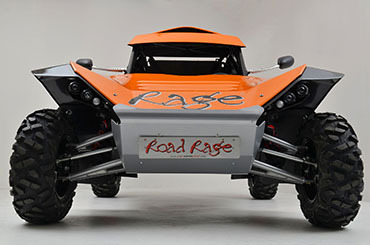 The Rage R140T is a great addition to the RAGE Motorsport line up. The Rage R140T has been designed around the well established two seater chassis that the R180T and R180RT had used with great success. Click the "R140T" button to learn more. 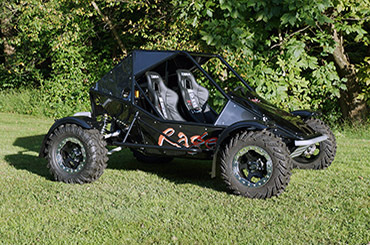 As with all Rage Buggy's,The Rage R140RT is capable of operating on a variety of surfaces, ranging from tarmac race track to full motocross, with the added benefit of being road legal in some states. Click the "R140RT" button to learn more. The Rage R200T took the concept of the hugely successful Rage R180T a step further. With more power and even more torque, this machine will blow your mind. It is obvious at first glance that this is a Rage, but drive it and you will see that this is something even more special. Click the "R200T" button to learn more. The Rage R200RT starts with the concept of the Rage R200T and takes it a step further by adding a complete road going package. 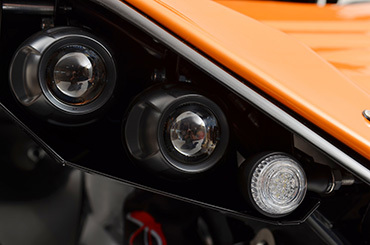 It includes headlights, taillights, signals, brake lights, a horn, alloy rims, tarmac tires and a few other special bits. Click the "R200RT" button to learn more. 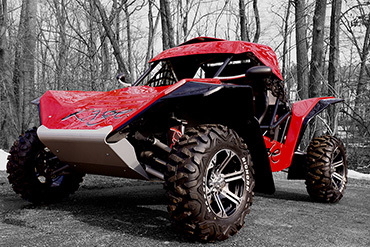 Your Rage Buggy can be set up to meet your specifications with a large selection of optional upgrades and accessories: lighting packages, suspension upgrades, wheel and tire packages, other performance upgrades or cutom options at your request. Click the "Options" button to learn more.